When Li Guanghao enrolled in the Harbin Institute of Technology (HIT) in 1995 as an architecture major student, he did not expect to go as far as he has in his chosen field. Li grew up and now lives in Heilongjiang province, northeast China, a region well-known for its cold winters. He has dedicated his life's work to studying architecture specific to cold regions, and has made a mission of offering practical guidance with people-centered benefits always in mind. Living for 40 years in a cold region has given Li many opportunities to observe the architecture in its cities and towns. This experience, backed by 14 years spent earning his undergraduate to doctorate degrees in architecture at HIT, has elicited thoughts with academic value. For example, he observed that as the cold air always comes into this region from the northwest, many old houses in Harbin have thickened walls in the northwest corner. Also, to avoid frost on the window, older houses usually have a sunlight room in front. It intervenes the direct encounter of the heat and the cold air as a transitional zone, and can also serve as a room for activities. In view of the wisdom in traditional practices, Li has urged the use of such localized techniques and materials in local architecture, even amid the current rise of modern materials and technologies. In his opinion, modern approaches can be used, but may not be the best choice. "Using local materials as well as proper techniques to optimize natural lighting, ventilation and so on, are moves based on the principle of energy conservation and local economic conditions," Li said, adding that people in towns may not be able to afford expensive products. It is about striking a balance between the performance and the financial or ecological costs, he emphasized, elaborating on the concept of ecological architecture that he has endeavored to study and promote. Distinguishing himself from experts who focus only on theory, Li has devoted himself to studying through hands-on guidance in people's daily lives. "Architecture is a discipline closely related to everyday life, as buildings are tangible and visible, and people feel them all around and live in and among them," Li said. According to Li, highlighting the importance of balance, ecological architecture in cold regions is not designed solely to defend the residents against the climate, but rather to minimize the cold while conserving energy by adopting proper materials, building techniques and layouts. With this in mind, he has studied how to address the cold and utilize heat in cold regions by adjusting architectural features. For example, a study of the size of windows and doors as well as their proportions within hexahedron-shape houses led to specific size and ratio recommendations intended to guide villagers and urban constructors in cold regions in their construction of houses and buildings. When it comes to community, Li has studied how to adjust residential block morphology to achieve the most effective utilization of solar radiation, as solar power is one of the major energy sources for heating buildings in cold regions. In addition, he designed an ecological planning scheme for a residential area in Yichun city, Heilongjiang province. Designing on a plot with an area of one square kilometer, the ratio of construction area to total land area was as low as 1.01, which indicates a comparably comfortable living space. Li adopted the concept of ecological architecture, or rather, ecological community, in his design, and according to the concept, he reserved and utilized existing local plants and landscapes, and built them into the community. He also connected sections of buildings and natural landscapes with existing waterways and newly-built greenways, making them into an integrated network. By minimizing the ecological changes, he looks to conserve energy, reduce pollution and human impact, to achieve the harmonious co-existence of humanity and nature, and to ensure a high-quality life for the residents. "The design shows that there can be waterways in communities in cold regions, and even if frozen in the winter, they are still beautiful scenery for the residents to appreciate," Li said. Li's eco-friendly design won first place in a provincial competition hosted by the Department of Housing and Urban-Rural Development of Heilongjiang province in 2013, and the plan was later delivered to developers for implementation. However, Li's vision was not confined to the community level. With expertise also in the field of urban planning and landscape, he produced insights for the healthy development of a whole city and its residents. In 2015, he brought forth a detailed regulatory plan for cold-region communities in Yichun with a city-wide design, which earned him another prize among a pool of urban-rural development projects in that year's provincial competition. Architecture and community exist at a relatively micro level, Li said, adding that "Today, one cannot discuss architecture without taking into consideration the city it is located in." In his view, monotonous apartments and houses pile up in many cities and towns in China today, which hold up the air flow and also squeeze out greenbelts, consequently becoming detrimental to air quality and people's health. When crossing a bridge linking Harbin's two districts divided by the Songhua River, Li often notes a gray cloud enveloping the district to the south of the river. "No single factor, either factory emissions or vehicle exhaust, is decisive in the smog problem," he said, proposing eco-friendly city planning as the way out. According to Li, an ecological city, similar to ecological architecture and ecological community, is about striking a balance. It aims to offer comfortable living while also taking into account economically and aesthetically friendly construction. It calls for preserving green space, Li said, but it goes beyond that. "An ecological city is not merely about being green, but ideally, about the ultimately harmonious co-existence of humans and nature," Li said, going on to compliment the current direction of Xiong'an New Area. The construction of Xiong'an as a garden city attaches great importance to the protection of Baiyang Lake and green areas, which is actually to protect the lungs of the region, he said, adding that in an ecological city, there should be eco-paths for animals to have free passage instead of separating them completely from human settlement. Looking to the future, Li proposes changing the “cookie-cutter” construction style in two ways – first by transforming old buildings and making them more energy effective, and second by constructing new buildings according to ecological planning. Knowing well that problems cannot be solved with a single strike of a single actor, he suggested multiple parties get involved to achieve this end. For example, instead of leaving lands to developers in one-and-done deals, the government should set up a reward and punishment mechanism for developers, so as to manifest proper use of the land. "In view of the large number of villages and towns in China, I feel quite optimistic about the room for big changes in the process of urbanization," he said. Now Li is working on his third project funded by the National Natural Science Foundation of China, which aims to offer precise development strategies for cities and towns by adopting big data. By analyzing climatic data as well as population and economic growth over the past ten years, Li has used simulation to project the data ten years into the future, and has set up a database to offer practical guidance to forward-looking architectural and construction planning. 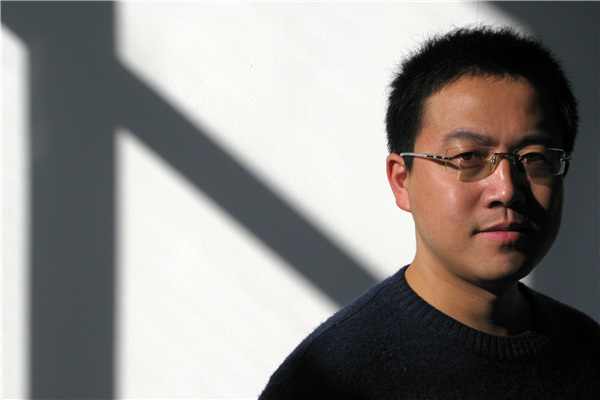 His project is scheduled to end this year, but Li has already published multiple papers based on his research. Focusing more on strategic aspects, Li said he aimed to offer pragmatic recommendations not only to other architects in constructing buildings, but also to governments on how to lead city-wide development, and even to residents on how to enjoy better living conditions. Li explained that mostly qualitative and empirical analysis has been done in the past, but that the conclusions it produced were not persuasive. He said that he would apply more big data in the future to produce more accurate and convincing outcomes for people to refer to. "Architecture is an applied science, and people can judge whether a study is useful or not, just like they can judge whether an environment is good or not," said Li. With people always at the center of his work, they are the motivating force that drive him forward. Before entering university, Li never expected that his life would be so intertwined with architecture. Positioning himself as an architect of ecological design in cold-region cities and towns, he has humbly interpreted his past achievements as luck. Now Li views it as a social responsibility and is eager to see his research provide guidance that can be put into real-life practice. He operates an architectural office while continuing his academic studies, hoping to keep using what he has learned to benefit resident in cold regions. "My dream is to stand in a high place in a city and be able to say, 'Look, I planned that, and now it is developing healthily.' I am on my way," he said. An architect based in northeast China's Heilongjiang province, a region well-known for its cold winters, has dedicated himself to the study of architecture in cold regions and offers practical guidance with people always in mind.